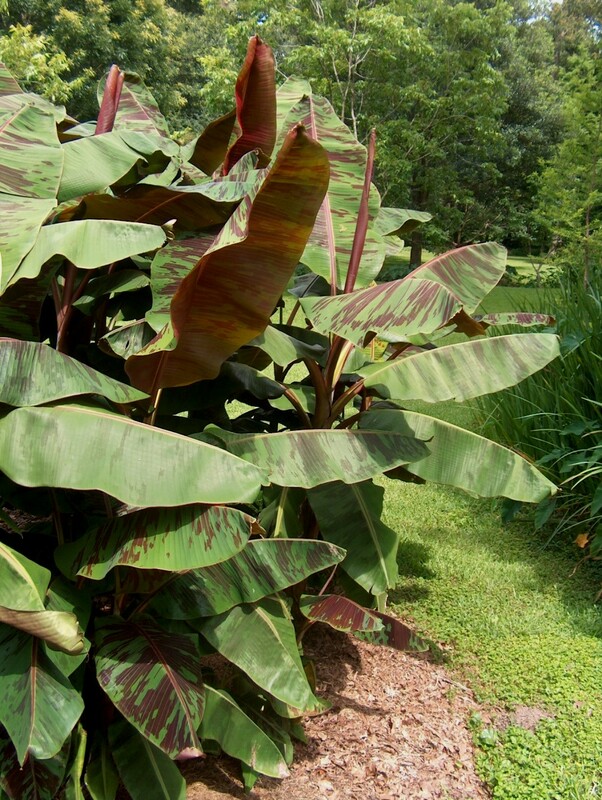 Comments: Has wine or maroon colored stripes in green leaves and outstanding in the landscape whether planted in the ground or in a container. Once a banana plant has flowered, that stalk will die after it sets fruit. In general, a banana stalk will live until they fruit or killed by cold, whichever is shorter. New stalks come up from the clump each year.